If type an empty string, then return false. 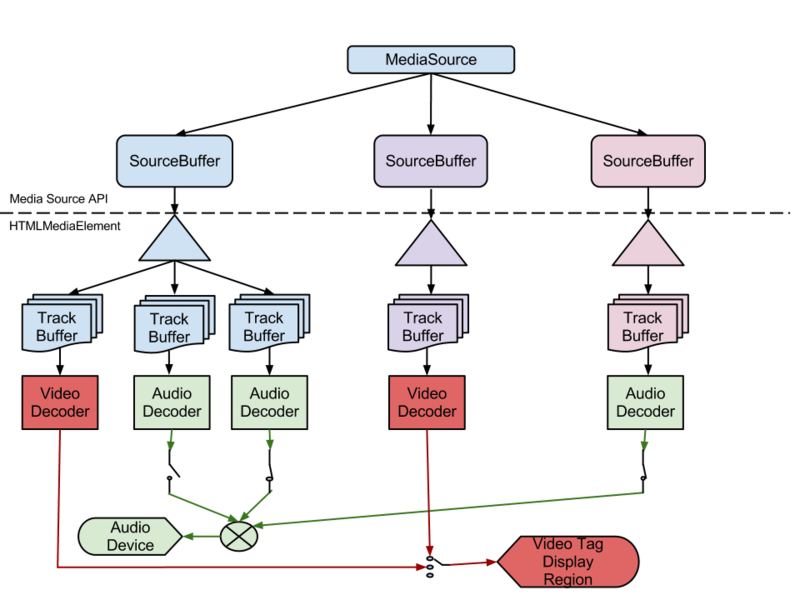 If true is returned from this method, it only indicates that the MediaSource implementation is capable of creating SourceBuffer objects for the specified MIME type. A addSourceBuffer() call may still fail if sufficient resources are not available to support the addition of a new SourceBuffer. If this track has a random access point timestamp that is greater than or equal to end, then update remove end timestamp to that timestamp. Remove all media data, for this track, that contain starting timestamps greater than or equal to start and less than the remove end timestamp. If the first initialization segment flag is true, then verify the following properties. If any of the checks fail then call endOfStream("decode") and abort these steps. If active track flag equals true, then add this SourceBuffer to activeSourceBuffers. If one or more objects in activeSourceBuffers have first initialization segment flag set to false, then abort these steps. The bytes provided through append() for a SourceBuffer form a logical byte stream. The format of this byte stream depends on the media container format in use and is defined in a byte stream format specification. Byte stream format specifications based on WebM and the ISO Base Media File Format are provided below. These format specifications are intended to be the authoritative source for how data from these containers is formatted and passed to a SourceBuffer. If a MediaSource implementation claims to support any of these container formats, then it must implement the corresponding byte stream format specification described below.